Praying for healing is what a community is doing after two children were killed in a house fire last week. The family's church, whose nonprofit was providing them housing, shared new details with 41 Action News. KANSAS CITY, Mo. — Praying for healing is what a community is doing after two children were killed in a house fire last week. “We are a family, so it is deeply personal, and we can’t make sense of why. 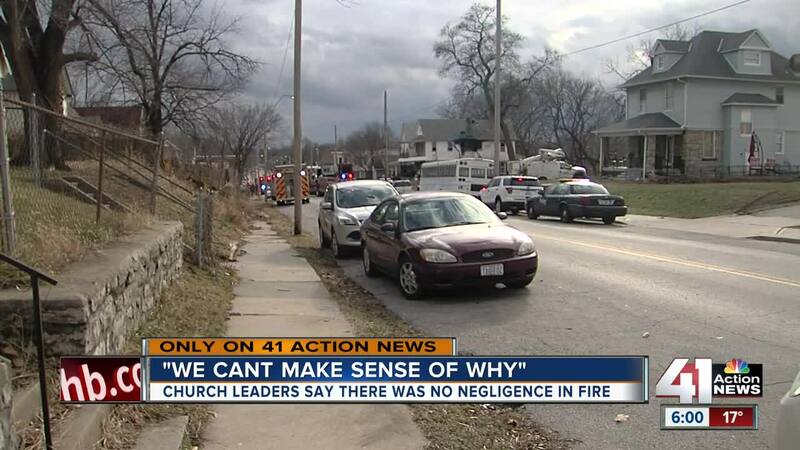 There is not someone to blame,” said Joe Knittig, assistant pastor at World Harvest Ministries. Terry Glenn, the family's pastor, said he drove past the home just before the fire started. “Before I could pay for three items and get out the door, they called me saying, please hurry back over to the property there has been a fire,” said Glenn said. One-year-old twins died in the fire. Five others were able to escape. Pastor Glenn says his church provided housing for the family. Investigators have been released little information, but Glenn shared new details with 41 Action News. “They gave us the release that it was nothing electrical, nothing in the structure of the building, we had brand new smoke detectors in the property. And we can’t explain how an accident such as this happens,” said Glenn. While the attention is on the cause, the church is focused on helping the family heal. “A grandmother and a 23-year-old that are sacrificing their own lives to give their family a chance and opportunity and we get to love on them day in and day out, when that happens they change you,” said Joe Knittig. Even though they were only one. The impact from the twins will reinforce one thing – love. Family friends set up this page to raise money for funeral costs. If you want to donate CLICK HERE .